While Seattle is one of my favorite cities – I loved living there, and I love traveling there. I’ve shared some of my favorite tips for traveling to Seattle over the years, and I recently published a few new posts to help make your Seattle trip even better: a guide to the perfect three-day trip to Seattle and what to pack for Seattle. If you’re planning a trip to the Emerald City in 2019 or 2020, I’ve got you set. Have you thought about extending your trip to explore more of the Pacific Northwest? Or, if you live in Seattle (lucky you), maybe you want to get out and explore the surrounding region. No matter the reason, I’ve got you covered. I’ve traveled all over the PNW and here are 19 of the destinations I think make a perfect weekend trip from Seattle – or a trip extender if you’re visiting Seattle. Hotel Options: The historic Majestic Inn & Spa is right in the heart of Anacortes, but not easy on the bank account balance. The Cap Sante Inn is more budget-friendly. See all hotels in Anacortes. Most people breeze through Anacortes on their way to the San Juan Islands, but, in my opinion, this is a big mistake. 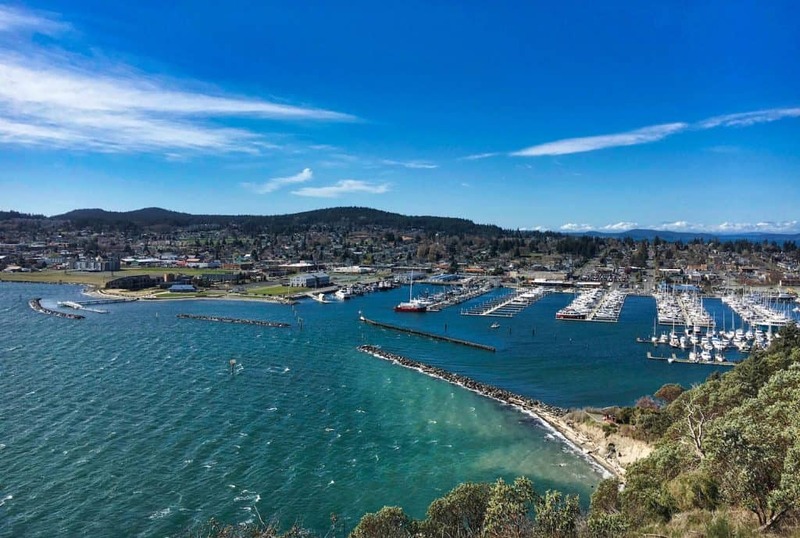 Anacortes is home to some great outdoor activities including hiking and kayaking, plus there are urban green spaces to explore and the historic downtown has fascinating restaurants, bars, and wine shops to keep you busy for a whole weekend. Some must-experience spots include Deception Pass State Park, where you can hike down to the water, and Washington Park with a loop you can drive to see some of the interesting geologic features of the area. 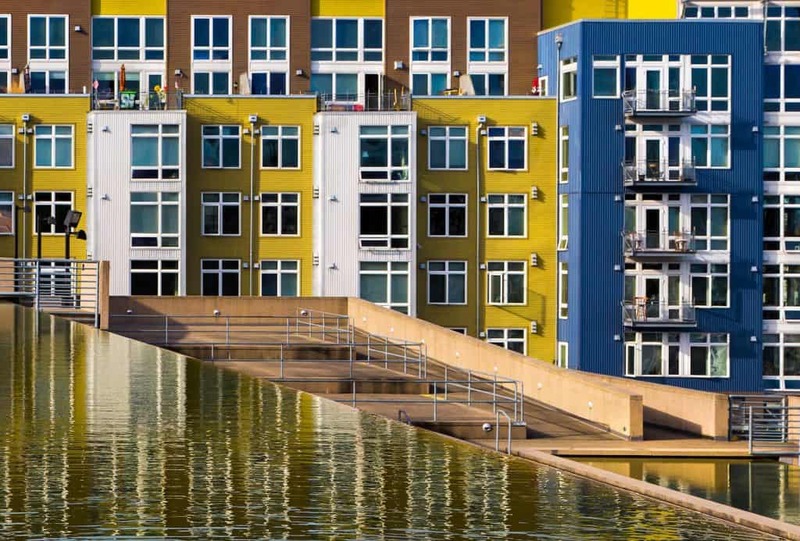 In town, Cap Sante park offers great views of the town and surrounding region including the waterways of the north Puget Sound, and you can walk along the waterfront in Seafarers Memorial Park. For fuel, it’s hard to choose: Dad’s Diner, Gere-a-Deli, and A-Town Bistro are all delicious. You can sample amazing wine and cheese at Salt & Vine, or visit Brown Lantern Ale House has a more local flavor. Learn about Anacortes’ history by taking a self-guided walking tour or board the dry-docked W.T. Preston to gain insight into how commerce was conducted on the waterways of Puget Sound over the decades. → Read my full guide to visiting Anacortes. Hotel Options: The Eagle Harbor Inn is a nice option near everything. The Inn at Pleasant Beach is more luxe if that’s your style. See all hotels on Bainbridge Island. Bainbridge Island is a good day trip, but if you’re looking for a new weekend escape from Seattle it’s a great option. You won’t find a harried pace or loads to see and do, but Bainbridge has a lot to offer for travelers who need to slow down and relax a bit. Eagle Harbor, where the Washington State Ferry pulls in, is easy to explore by foot – and lined with restaurants and bars to sample. The Bainbridge Museum of Art is also compelling, and they host cool evening events worth checking out on a quiet night (Bainbridge shuts down pretty early). Winslow Way has a vaguely Carmel-by-the-Sea feel and is good for a short window shopping excursion. You can also sample craft beer at a couple spots, including Bainbridge Brewing (they have an alehouse near the ferry terminal) and Eagle Harbor Brewing. Your weekend won’t be a rager on Bainbridge, but it’s a nice change of pace, super close to Seattle, and easily walkable. Hotel Options: There are loads of hotel chains in Bellevue; opt for the least cookie-cutter choice with Hotel 116. See all hotels in Bellevue. Seattle’s neighbor to the east, Bellevue gets overlooked a lot. One could argue there’s not a lot of ‘culture’ to be had in Bellevue since it developed primarily to serve the big businesses that grew up on Seattle’s east side. However, this is slowly changing as folks flood Bellevue to escape Seattle’s insane housing prices. There’s plenty of shopping to be done at Bellevue if that’s how you like to spend your time; Bellevue Square and The Shops at The Braven are your best bets. If you prefer the urban outdoors, Bellevue Botanical Gardens is a good option, or you could spend an hour strolling through the beautifully manicured Bellevue Downtown Park. For culture, the Bellevue Arts Museum is a must, or try some of Bellevue’s insanely good Asian cuisine – sushi and ramen are easy to find. Hotel Options: College towns always have lots of affordable chain options. The Oxford Suites is my favorite. See all hotels in Bellingham. Bellingham is a fun weekend trip if you want to step back in time to harken back to your college days. Home of Western Washington University, you can have a good time exploring the campus or downtown area with cheap eats and fun laid-back bars. Near Bellingham, you can visit the small community of Fairhaven. This historic seaside community is both funky and a bit posh – kind of like Carmel-by-the-Sea but with a much younger vibe. If you love the outdoors, head toward Mt. Baker, where you can go hiking or skiing in North Cascades National Park. A drive down Chuckanut Drive will also show you some of the other beautiful scenery in this upper corner of Washington. Hotel Options: The Columbia Gorge Hotel in Hood River is your best option; Columbia Cliff Villas Hotel is also nice with great views. See all hotels in Hood River. The Columbia River Gorge is brimming with adventure and Mother Nature at her finest. Some of the best things to do in the area are hiking, viewpoints and chasing waterfalls. While Multnomah Falls is certainly worth a visit, it’s more often than not the busiest spot along the Gorge (and the hiking trail is still current closed). If you want to visit, come earlier rather than later. Bridal Veil Falls is a just a hop away and offers an easy trek down to its beautiful falls and pool. Dry Creek Falls doesn’t sound very promising but it’s a gorgeous waterfall nestled in the forest, you’ll likely encounter nobody else on the trail. Starvation Creek Falls is an easy stopover along the Gorge and for great views, head to Rowena Crest Viewpoint. Here you can get a vantage point of the Gorge and the horseshoe road twisting its way up to the top of the viewpoint. If you’re heading a bit more south, there are few places more magical than Trillium Lake. Here you can trek along the lake or simply chill on on the shore and enjoy the epic view of Mount Hood in the distance. 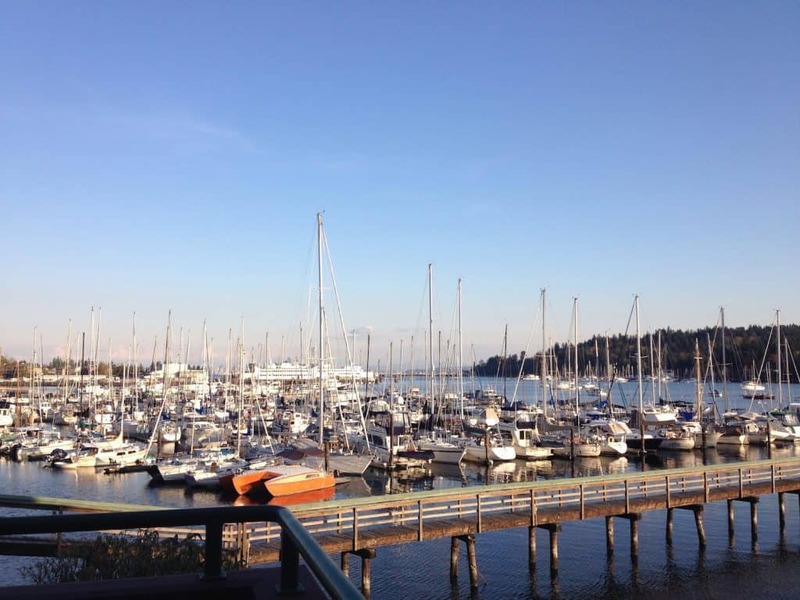 Hotel Options: The Inn Gig Harbor is a bit out of town but good for groups or families. Splurge to stay in town with waterfront views at the Maritime Inn. 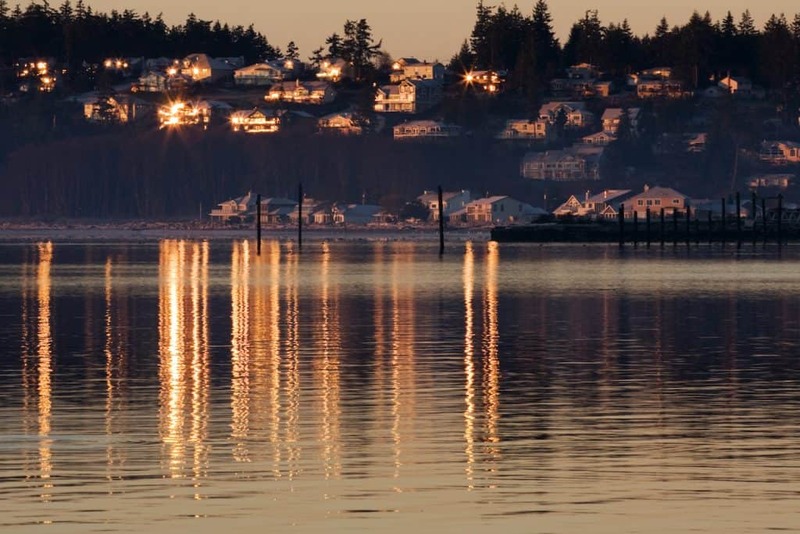 See all hotels in Gig Harbor. Gig Harbor is a nice, close weekend getaway option; with no traffic, you can arrive in this tiny harbor town in about an hour. You’ll need to cross the beautiful Tacoma Narrows Bridge (if you’ve ever heard of Galloping Gertie, this is the bridge that replaced her) to get there! Once in town, walk along the waterfront path to visit the Harbor History Museum, which is a delightfully interesting small and modern museum. The real star of a trip to Gig Harbor is the food and drink though. Be sure to stop and sample at Heritage Distilling at their central location, or visit their flagship location for a tour. Seven Seas Brewing offers beer options for those who don’t love spirits. For food, Kiss Cafe makes great sandwiches with a view of the whole harbor; Netshed No . 9 is the go-to brunch spot; and dinner at Brix 25° is a surprisingly delicious splurge. → Read my full guide to visiting Gig Harbor. Hotel Options: I stayed at the Best Western Plus Plaza by the Green, not far from the Green River trail. See all hotels in Kent. Kent makes the list as one of those easily overlooked destinations in the Seattle area – but it’s also super easy to reach! Kent is only 30 minutes south of Seattle by car but home to great outdoor trails and green spaces, plus some amazing ethnic cuisine. I took a foodie trip there in August 2018 and sampled some amazing Mexican at Asadero, Thai at Banyan Tree Restaurant, and food prepared traditionally by refugees at Ubuntu Street Café. There are also great drinks to be had, like craft beer from Airways Brewing or locally made cordials and liqueurs at Sidetrack Distillery. Walk off those indulgences along the Green River Trail, or explore Lake Meridian Park with its stunning views of Mt. Rainier on a clear day. → Read my full guide to visiting Kent. Hotel Options: Too many to choose! The Bavarian Lodge is hunting lodge chic. Der Ritterhoff Inn has a giant knight outside (as the name suggests). Leavenworth RV Campground has tiny houses you can rent! See all hotels in Leavenworth. Leavenworth is perfect any time of year, with its picturesque Bavarian architecture and mountain setting. There are times of year when a weekend trip is even better – and worth braving the crowds. In particular, plan your weekend trip well in advance to visit at the beginning of May for the Maypole Festival, weekends in September and October for Oktoberfest, and weekends throughout December for the Christmas Markets. If you visit at another time, you can still enjoy the Bavarian spirit. There are beer gardens that sell pretzels and sausages throughout town, and Icicle Brewing Company is great if you want a craft beer stop instead. In the summer months, you can do a float down the Wenatchee River in an inner tube. It’s a fun way to cool off from the surprising heat you’ll find in this part of the mountain range. Hotel Options: The Adrift Hotel is right on the water The Breakers is a good family-friendly option. The Shelburne Inn recently changed owners but is hopefully still as cozy and comfy. See all hotels in Long Beach. Long Beach is possibly my favorite small-town getaway from Seattle; it was my first love and continues to be one of the strongest. On both trips I’ve made to Long Beach, the weather hasn’t been great… but the grey skies almost make it more charming. In Long Beach, the best thing to do is walk along the beach, obviously! At 28 miles in length, there’s more than you can walk in a weekend, but a short stroll after low tide will show you all kinds of interesting creatures and sea trinkets that wash up on shore. You can also make a trip to Cape Disappointment State Park, which has a lighthouse and plenty of trails to hike if you enjoy the great outdoors. → Read my full guide to visiting Long Beach. Hotel Options: Camping, or stay at the seasonal Paradise Inn with its early explorer’s charm. See all hotels in the Mt. Rainier area. Living in the shadow of Mt. Rainier, an active volcano, has its perks. Mt. Rainier National Park has some amazing climbing, hiking, and generally outdoorsy opportunities in the area (though there’s a lot to be said for the nearby Cascades and all that the Olympic Peninsula has to offer in that department too!). Make a weekend of a trip to Mt. Rainier and go hiking from one of the two main access points: Sunrise or Paradise. Two other visitor centers at Ohanapecosh and Longmire offer access to outdoor activities too. You can’t do it all in a weekend, but consider hiking part of the Wonderland Trail, which circumnavigates the base of Rainier at 93 miles in length (150km). → Read my guide to winter hiking on Mount Rainier. Hotel Options: Movie buffs will love the gorgeous Hotel Lucia. The Sentinel Hotel is also beautiful, but you’ll get the sense that Portland isn’t cheap! See all hotels in Portland. While I don’t think I could ever live in Portland, it’s always been a fun town for a weekend getaway – and I’ve made the trip several times! Here are some of my favorite activities for a weekend trip. If you love urban green spaces, a visit to the International Rose Test Garden is a must – after all, it’s where the Rose City got its nickname. Here you’ll find a huge number of beautiful and unusual roses and you can wander among the bushes to see them up close. While there, visit the Portland Japanese Garden, which will make you feel like you’ve been transported to far east Asia. The Alphabet District is fun for foodies, with bars and restaurants including McMenamins and Salt & Straw that are worth blowing your budget for. The Pearl District is where you can shop to your heart’s content. Nearby in downtown, you can visit Powell’s Books, Voodoo Donuts, and eat your way ’round the world at the food truck square. Portland really lives up to its foodie hype, and this is just scratching the surface. → Read my full guide to visiting Portland. Hotel Options: On Orcas Island, the Orcas Hotel or Outlook Inn are both good options. On San Juan Island, stay at the Island Inn at 123 West in Friday Harbor, or the Hotel De Haro in Roche Harbor. It’s tough to see the San Juan islands in a single weekend; a better bet is to choose one of the four islands serviced by the Washington State Ferries and plan your trip there. Then you can eventually do four weekend trips instead of one! Orcas Island is great for a relaxing weekend, as it’s got all the amenities you need without a lot of city hustle and bustle. Lopez Island is mostly residential but popular among cyclists and wine-lovers. Shaw Island is entirely residential and ideal for a super off-the-grid getaway. Lastly, San Juan Island is the biggest by far and has the most to offer. 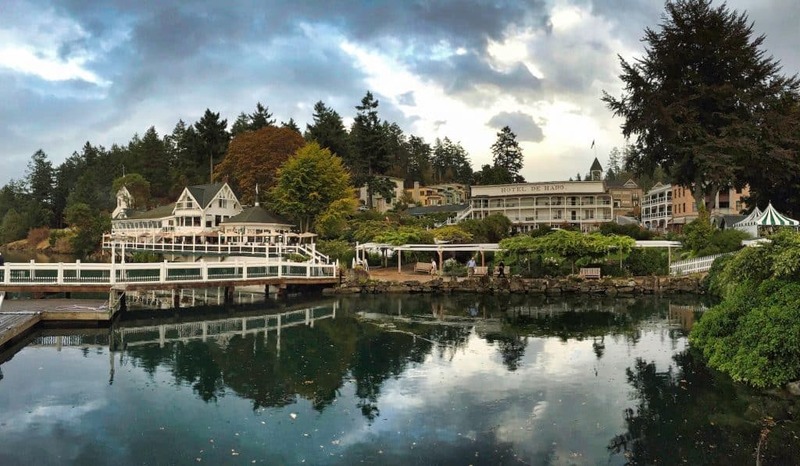 You can explore friendly Friday Harbor, explore some of the historic sights like American Camp and English Camp, or head up to ritzy Roche Harbor to admire the yachts in the harbor. → Read my full guide to visiting the San Juan Islands. Hotel Options: The Historic Davenport is a surprisingly gorgeous, old world-eqsue option. Hotel Ruby is the opposite: funky, modern & fresh. I always like Oxford Suites. See all hotels in Spokane. The largest city east of Washington’s Cascades Mountain range, Spokane is a fun option for a weekend getaway from Seattle. No matter what your interests, the city offers plenty of activities for outdoor enthusiasts, wine connoisseurs, foodies, and even families. 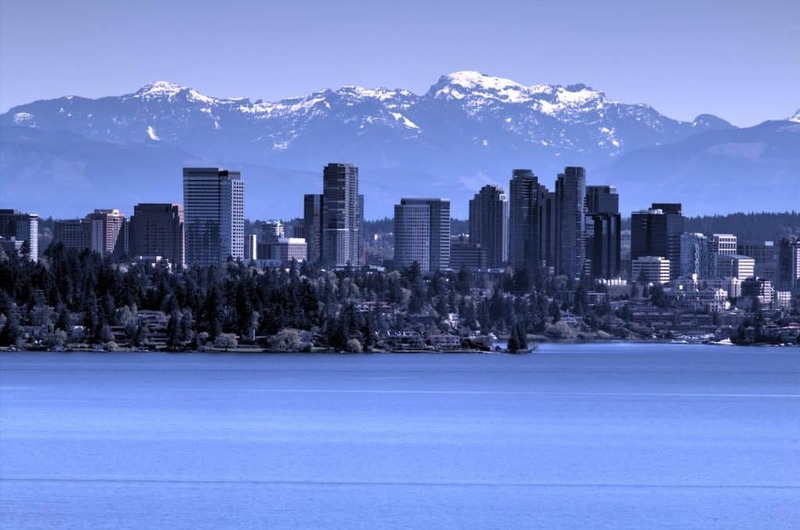 You’ll need to dedicate a lot more time to reach Spokane from Seattle, so it’s best as a three-day trip (minimum!). Bikers, runners, and even those with wheelchairs and strollers can enjoy the views of the Spokane River while following Spokane’s 37-mile long Centennial Trail. For wine enthusiasts, Spokane has over eight wineries to sample local wine from grapes harvested in the surrounding Palouse. Foodies can enjoy some of Spokane’s James Beard-nominated restaurants, including Santé, a local charcuterie by chef Jeremy Hansen. For families, Spokane’s Riverfront Park in downtown Spokane and Manito Park in the South Hill neighborhood are fun places to spend an afternoon with kids. Hotel Options: The Hotel Murano is a standout option. See all hotels in Tacoma. Tacoma is easily overlooked when visiting the Seattle area (or heck, when living there!) but it’s a great weekend getaway option. 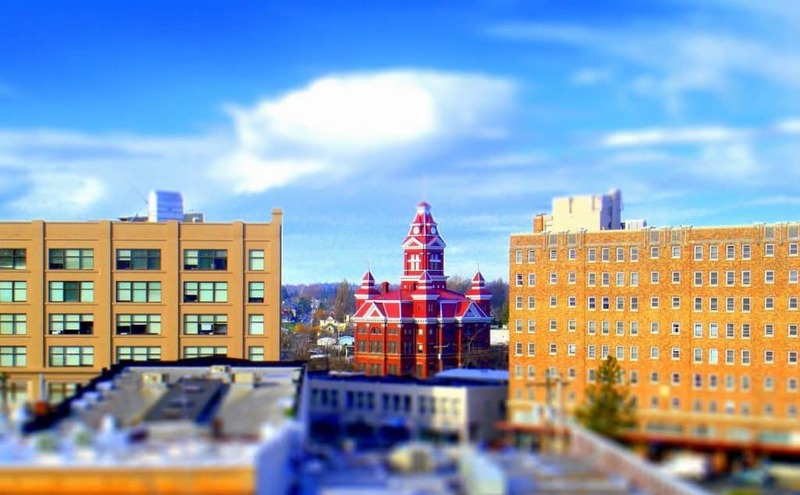 Located about 30 miles south of Seattle, you’ll find a variety of things to do in Tacoma. Movie fanatics will love stopping by Stadium High School where “10 Things I Hate About You” and several other movies were filmed. The Museum of Glass is another popular attraction to stop at where you’ll see beautiful artwork made from glass. You can even watch a live glass-blowing demonstration while you’re there. Car lovers will enjoy stopping by America’s Car Museum where over 350 vehicles are displayed from various time periods. You can even get in on the action with a Formula 1 race car simulator. On a sunny day, make sure to stop by a Tacoma Rainer’s baseball game to cheer on the local team. The Enchantments in the Okanogan-Wenatchee National Forest is known as one of the most beautiful mountain areas in the Pacific Northwest. Overnight camping here is highly sought after and difficult to obtain – the necessary permits are based on a lottery system with a limited number available. However, if you just want to experience this beautiful area for the day, the 8-mile out-and-back trail to Colchuck Lake brings you to a magical oasis nestled at the edge of the Enchantments. It’s an all-day hike, and trekkers will get their fix of rushing rivers, scenic views, and possibly even a dip in the frigid lake at the top (if you dare!). This area requires a Northwest Forest Pass ($30 annual fee), that can be purchased online or at nearby sports retail stores. Call ahead to make sure passes are available and start packing for your next mountain adventure! You’ll need to arrange accommodation in the area if you don’t have an overnight permit; Leavenworth is a good option. Hotel Options: Colette’s Bed & Breakfast in Port Angeles is perfect. The George Washington Inn is another great option. Don’t miss Sol Duc Hot Springs Resort. See all hotels in the Port Angeles area. It’s tough to squeeze the whole Olympic Peninsula into a single weekend, but it can be done as an ambitious three-day road trip. Or, opt to just visit one of the towns on the peninsula, like Port Townsend, Sequim, or Port Angeles. Dungeness Spit is a cool spot to stretch your legs, or you can visit the lighthouse at the end of the tiny strip of land. Port Angeles is my favorite, with plenty to see and do. From there, you can go hiking on Hurricane Ridge to take in the full grandeur of the Olympic Mountains. Or visit the Elwha Dam to get a sense for how land and water management works in this part of Washington. Soak away your hiking aches at Sol Duc Hot Springs or Olympic Hot Springs. If you’re really ambitious, make a day trip to the Hoh Rainforest, which receives 140-170 inches (356-432cm) of rain per year! → Read my full Olympic Peninsula road trip guide. Hotel Options: Moda Hotel mixes old world glamour with modern design. Blow your budget at the Four Seasons Vancouver. 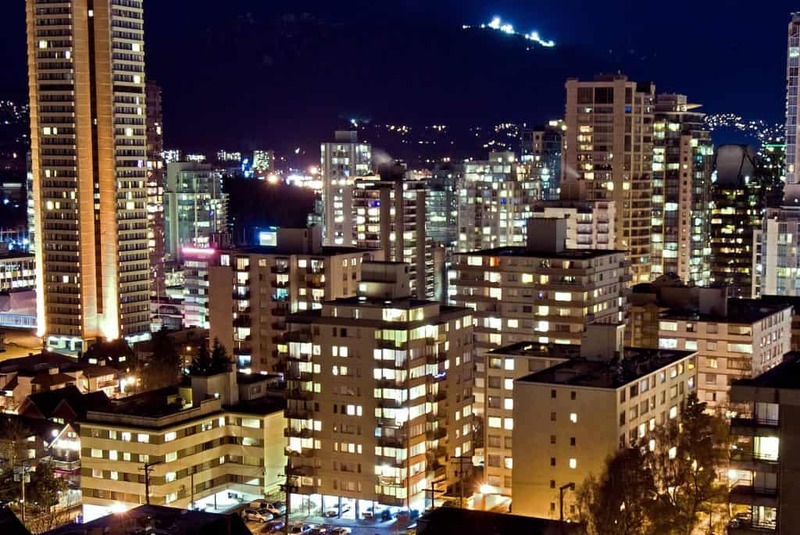 See all hotels in Vancouver. Like Portland, Vancouver is one of the great cities of the Pacific Northwest that’s well worth a weekend trip – or a great add-on to extend your travels in the region. Vancouver is known for its close access to the outdoors (it’s super easy to spend a day of the weekend in Whistler hiking in the summer or skiing in the winter). You can also easily visit Capilano Suspension Bridge, which is a 15-minute drive from downtown Vancouver. Within the city, Stanley Park is a popular spot for more urban green space. Vancouver is also known for stunningly good Asian food, thanks to several decades of immigrants settling in the city and bringing over authentic flavors and family recipes. In between adventures, refuel with Japanese Sushi, Korean BBQ, or delicious Chinese Dim Sum. Hotel Options: Consider The Boatyard Inn or Inn at Langley. See all hotels in Langley. Whidbey Island is located north of Seattle; you can reach it with a short ferry ride. With charming inns and cottages, seven wineries in the area, and a stunning natural environment, the main city of Langley is a perfect base for a getaway destination for wine tasting, great food, and outdoor activity. If wine is your thing, consider doing a tasting or two. There are seven wineries in the Langley area, including Whidbey Island Winery and Comforts of Whidbey. It can help to check each winery’s website before you go, to see the different varietals they specialize in. To clear your head after a tasting, head out to one of the many public beaches, like Double Bluff Beach with its stunning view of Admiralty Inlet and the Olympic Mountains or Freeland Park for a great view of Holmes Harbor. Cycling and boating are also popular ways to experience the great outdoors while you’re based in Langley for a weekend. Hotel Options: Willows Lodge is splurge-worthy. McMenamins Anderson School is in nearby Bothell but cool enough to be worth the drive (or Uber after you’ve been wine tasting all day). See all hotels in Woodinville. Woodinville is the perfect weekend getaway from Seattle if you love wine, food, and music. Woodinville is located just 20 miles northeast of Seattle but feels like a bona fide escape to the country. Woodinville’s small downtown area has a myriad of wineries pouring vintages crafted from Washington’s grape-growing regions – mostly Walla Walla in Eastern Washington. 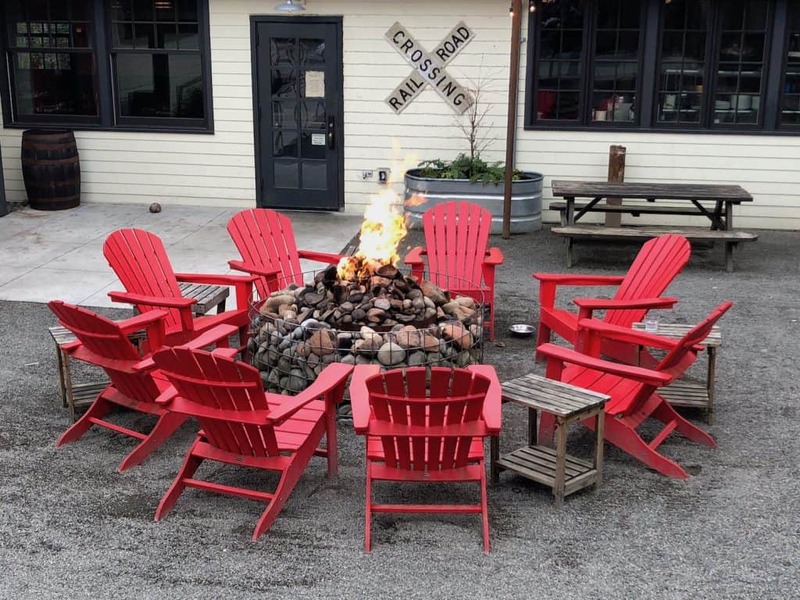 Many of the wineries in Woodinville are walkable and if you get hungry you can take a detour to one of the several gastro-pub style restaurants to get some gourmet comfort food. The crown jewel of Woodinville is the beautiful Chateau St. Michelle Winery, which helped to put Woodinville on the map for wine lovers. In addition to its high-quality wines and sprawling grounds perfect for a picnic on a sunny day, the lawn of Chateau St. Michelle is the place to be for music lovers on Friday nights thanks to its summer concert series that feature popular musical acts. You can easily book a hotel in the area to stay the night and continue sampling wine. There you have it! 19 amazing weekend trips from Seattle. The only question left is… which weekend trip will you plan first? Let me know if you have any questions in the comments!